Over the century or so since the discovery of Echeveria in Mexico, many beautiful Echeveria hybrids have been developed. Since it’s relatively easy to cross breed Echeveria by pollinating one variety or Echeveria species with another there are now a large group of hybrids, each more beautiful and easier to grow than the last. 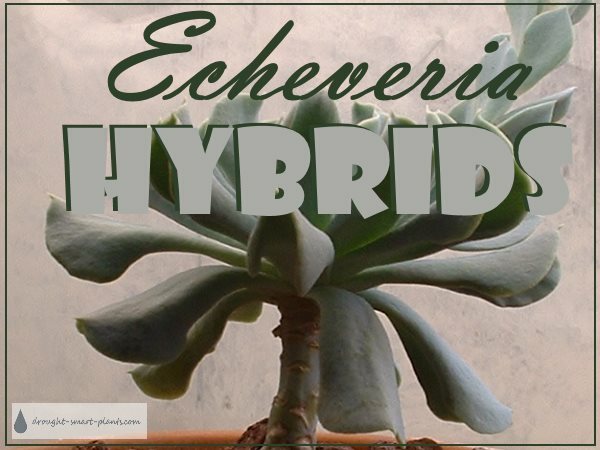 Choosing which Echeveria plants to hybridize can be a challenge – you never can tell in advance which particular traits and characteristics will be passed down to the progeny, and the twists and turns can be quite dramatic. The beauty and appeal of these lovely plants can become an obsession; many professional growers and home gardeners alike have come under their spell. 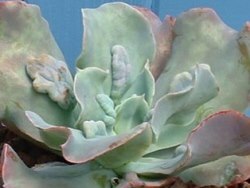 There are several seed grown hybrids that have become famous over the years for their crusty growths called carunculations such as Echeveria ‘Barbillion’ and Echeveria ‘Paul Bunyan’, others in the ‘Painted Lady’ series with frilly edges. Some hybrids become a dead end as they are sterile and can only be propagated vegetatively, producing an identical clone. Other characteristics can only be guessed at, and a batch of hundreds of seedlings may possibly contain one or none of the required genetic traits, or even some complete surprises. 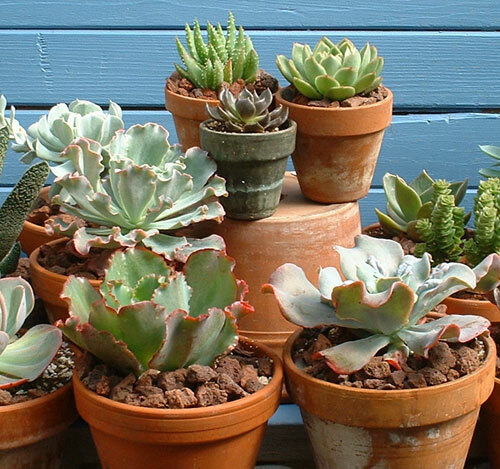 The main difficulty in propagating some of the Echeveria to hybridize different species is that they don’t bloom at the same time, and the pollen being very short lived can’t be stored for future use. Manipulating the flowers to bloom at times other than their usual short season, the actual transfer of pollen from one plant to the other with a paintbrush, the long waiting time for the seeds to develop, be planted and germinate and finally mature into a plant that can be evaluated - this is not an obsession to be taken lightly. 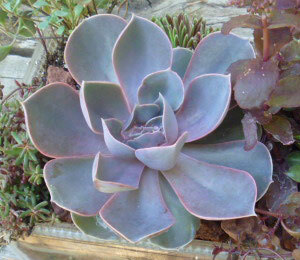 Propagation of these tender succulents takes a long time, especially growing them from seed, to see the results. Is this the newest fabulous hybrid to hit the market? Or just another dud? There is a lot of patience and anticipation involved, and quite often disappointment if the plants don’t meet the expectations of the breeder. 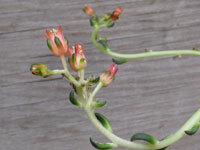 The tenacity of plant breeders and growers in California and Australia has brought us many Echeveria hybrids to grow and enjoy, and there’s no end in sight of the choice varieties now available. 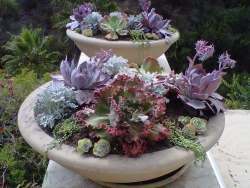 With renewed interest in succulents of all kinds we can expect to see many more in the future.